Teaching English in Spain is one of the most popular options for ESL teachers to work in Europe. The sunny country is well-known for its culture and relaxed and friendly people. How do you find a job to teach English in Spain, and what is living there like? This post has all the answers. Spain has always been one of the most visited places in the world because of its architectural history, profound culture and its coastline that spans as long as 5,000 miles. Additionally, Spain’s 300 days of sunshine a year consistently brings tourists back around for another visit. Staying long term, however, is a bit more complicated. Teaching English in Spain is a great way to secure your stay and experience the culture at a closer glance. 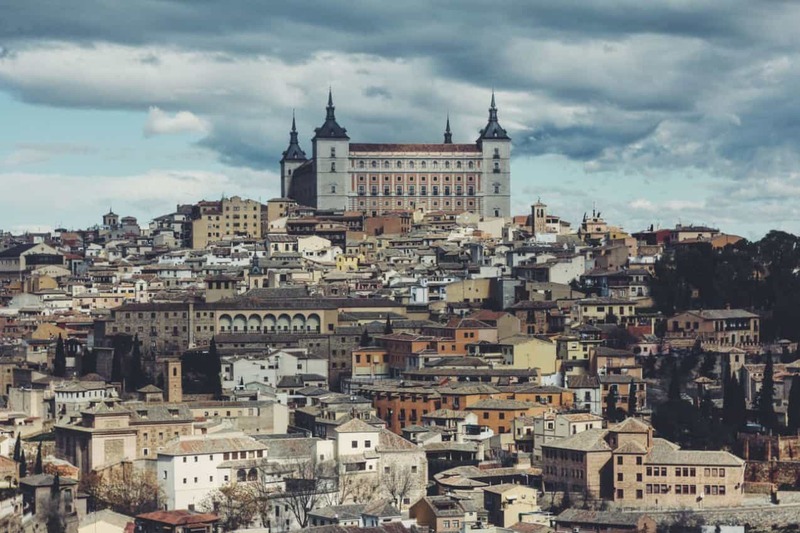 In this post, we will review how to meet requirements to teach English in Spain, how to find jobs and housing, the necessary costs of living, and some cultural differences to keep in mind. Can I Save Money While Teaching English in Spain? Why has Spain become such an attractive place to work and teach English? In the last 10 years, the Iberian Peninsula has made many changes in the effort to rebuild its economic infrastructure and help the third largest European country forage stronger global bonds. In 2007 they suffered a deep financial recession, which qualified them as a participant in the European sovereign debt crisis. Since then, their primary focus has been globalization and crushing the unemployment rate — extending Spanish business beyond their regional boundaries and South American friends, and pinning themselves on the map. To do so, they have placed a great priority and pressure on the public to learn English, as English is the international language of democracy and business. Being able to not only communicate but also negotiate with foreign corporations has been a tactful imperative to progressing and moving forward as a nation. It is now a basic minimum for all University graduates to obtain a B1 (intermediate level) of English in order to graduate with a bachelor in tourism, hospitality or any business programs. Being bilingual makes you a company asset. There are plenty of opportunities to teach English in Spain – the young and old want to learn, for reasons that are professional and personal. From one-on-one in-home tutoring to private in-company lessons, the need for qualified native teachers has drastically spiked. Language academies are opening up everywhere, and after-school programs are becoming more popular for children. There is a big focus on creating regulated in-house private language programs for the business sector. They want tailored lessons for their executives and upper-level staff, who focus more on traveling, marketing or global networking. As a result, Spain has now become one of the most desirable places to work for language professionals. Teaching positions for qualified professionals over 21 are available in the public sector as well, such as colleges and universities. Teaching English in Spain opportunities are always accessible, but schools tend to do the majority of their hiring from April to June and September to early October. Be sure to stick to the more established schools or programs to ensure you are treated fairly and are well compensated. This means noticing if they have a well-developed online presence, good reviews, or a strong reputation for being organized. You are after all working from abroad and are at risk of being taken advantage of. You can search for teaching English jobs in Spain online before you fly out, using sources like TEFL.com, expat.com, tusclasesparticulares.com, Google and Facebook groups. However, having a CV ready and printed once you arrive is often the better option. Teaching English work truly comes through who you know, especially in Spain where everyone wants to help you out. I took my TEFL course in Spain, at a school referred to me by a friend of mine, as he knew the owner. I was then offered a position to teach English in Spain upon graduation. Most qualified TEFL programs try to hire directly from their graduating class. They have associations and afflictions with other language academies that they know are looking for help. And if they don’t, they will refer you to someone who does know. TEFL programs want to help you out in the hiring process, so giving your all during your training is crucial. This is a multilayered question and one that many people gloss over or don’t acknowledge to its full complexity. To start, you must obtain the basic certification required; a TEFL, CELTA, or DELTA certificate, to be recognized at a C1 level or considered a native English Speaker. The courses either last four weeks intensive or six months part-time. These ones are undoubtedly the most complete TEFL courses available and will ensure a good paying gig. You must also hold any university degree (bachelor degree). These are the bare minimum requirements and they are internationally recognized. Teaching English in Spain is competitive and so getting your resume noticed is important. Consider your own objectives for teaching English in Spain and skill set within the industry. What can you bring forward from the culmination of your past work experiences? What do you want to get out of this? A basic certification (and bachelor degree) can get you a standard academic teaching position in a variety of academies. With additional certifications, it is possible to create a more dynamic and unique teaching environment that can lead to other less traditional positions. Be flexible and creative. Teaching customized classes may be rewarding for you. Just like any other industry when teaching English in Spain, you need to discover your specialty so that you can establish your role within a niche. Ask yourself, how can I connect with my students (clients!) to strengthen the importance of my role? What more can I add or bring to my teaching? What diversifies my classroom? While I did to attain the necessary certifications to teach English in Spain, I also entered the industry with 15 years of experience in a variety of corporate industries, which include legal, real estate, government, entertainment, and hospitality. This allowed me to draw from own work experience to create material for my students that is dynamic and relevant to their own work. This melding of experiences set me apart as an ESL teacher in Spain. A common problem I find now when hiring teachers is that every resume has similar experiences. So, I especially look for a niche skill set or applicable past experiences that will add diversity to the ESL classroom. The average salary for teaching English in Spain that you can expect ranges from €10 to €17 Euros per hour. This price can be even higher, according to your level of experience, additional certifications, the duration of your commitment and the academy for which you may work. Typically, English teachers in Spain make between €700-1,400 per month. If you teach through the Spanish Ministry of Education, you can expect to earn €700-1,000, and then supplement your income with private lessons. Salaries will also vary if you are teaching in a bigger city such as Barcelona or Madrid, where you have better access to corporate industries that can afford higher wages. However, keep in mind that the cost of living is higher in these central parts of Spain. Depending on the cost of living in your city, you should be able to earn enough money to break even. Most teachers in Spain live a comfortable lifestyle, but very few earn enough to save every month. Now that we have broken down the nitty-gritty of the work, how do you get yourself there and legally work? If you are a citizen of the European Union, there are special agreements that allow you to work without the need for special permits. However, if you are not a citizen of the European Union, you must apply for the necessary paperwork to be able to work and be paid legally. It is risky hiring someone without papers, which is often why EU workers are sometimes prioritized. The best way for non-EU citizens to teach legally in Spain is to apply as a North American Language and Culture Assistant through the Spanish Ministry of Education. Each year, the Ministry hires thousands of native speakers to teach in Spain for 9-month periods of time (from October to June, typically). As a result, the teachers get visas to live and work in Spain. There are very few other options for teaching in Spain, besides teaching under the table. Many people still do this since the demand for teachers is so high and native speakers are highly sought after (especially by parents), but it’s not as secure or structured as going through the Ministry. All the information for a work visa can be found on the Spanish consulate website in your home country. Be sure to acquire medical insurance ahead of time in case of illness or injury during your time there. This can be purchased through your travel agent or a private institution. Insurance cost is based on where you’re coming from and varies based on your age and length of stay. Make sure you shop around to find the best price. For me, a one-year travel insurance, coming from Canada is anywhere between CDN $600-800. Be sure you understand how that insurance will pay for medical treatments or medications if you need them while in Spain. You may need to pay upfront and then be reimbursed. Each policy will differ so get the details. There are doctors and medical clinics that do speak English and you can google that based on your city or ask a few locals. Medications are not expensive in Spain so paying up front and being reimbursed later should be manageable. In Spain, you can choose between living in a hostel, a pension (€25-€30 a night), or a shared apartment. The monthly cost for a shared apartment ranges from €250-€550 per month, depending on the area you choose and how many roommates you want to share with. A great website to find apartments is Idealista.com, which many locals use. A lot of apartments come very simply furnished, which is amazing for foreigners who are unsure of the duration of their stay. Spain offers a great variety of fresh, flavourful foods at very reasonable prices. Most breakfasts are around €3, which covers coffee, toast, and juice. Lunch is a three-course meal which includes a salad, the main plate, and a dessert or coffee, for €8-15, depending on the type of restaurant you choose. Beer and wine are often cheaper than buying bottled water between €1.25-3. As the drinking water is perfectly safe in Spain, drink tap water and spend your euros on beer and wine instead! There are also many local markets to buy fresh produce, meats, cheeses, and breads that can keep your cost of food very low. Many places take debit or credit but it is more customary to pay cash for transactions that are under €20-30. Dinner is a light meal or tapas which are always €2-€5 a plate. Altogether, food cost ranges from €15-€20 per day (breakfast, lunch, and dinner), but it all depends on how much you like to eat and, where you like to eat. Unlike in North America, tipping is not customary but it is appreciated. Late night restaurants and bars are open until midnight or 1 a.m. If you’re looking to stay out later, all nightclubs are open till six a.m. There are also lots of language exchange group events happening around the city. See what’s happening during the week and maybe meet a fellow foreigner. Obtain a local SIM card or prepaid phone card, which are very inexpensive, so you can use data for maps and Wi-Fi calling. Most cafes and shops have free Wi-Fi available (which is pronounced “wee-fee” in Spain), you just have to ask. I have an Orange Pay as-you-go-phone plan for under €15 which includes 6 gigs of data, 40 mins talk time, and unlimited texts. This lasts me approximately three weeks. To sign up, all you need is a photocopy of your passport and your local address (don’t ever carry around your actual passport, keep a photocopy on you only). Transportation is very accessible and easy to navigate. There is the Metro, buses or rental bikes within the city, and these prices do not vary significantly. For example in Sevilla, the bus fare costs €0.70, the train fare costs €1.80 or if you want to get an annual card for the use of the rental bikes, it costs approximately €20. There are lots of transportation apps out there that can help you keep up with bus times. Take advantage of the weather and bike when you can – it helps you get a good grasp of your bearings. Reloadable bus and Metro cards can be bought at stations or at most local Kiosks (newspaper stands) around the city. Many cities are also quite walkable but with the heat in the summer months, you will likely want to use the air-conditioned transport. If you need directions, someone is always willing to help, even if it is a bit of broken English they will do their best. However, now with so many more people learning English, you will likely find someone with a basic grasp of English who you can communicate with easily. One of my travel secrets is, I like to use my Google maps with my headphones in, so I can be guided through step-by-step directions out loud. It looks like I’m a local walking around listening to music, instead of a lost foreigner. In all busy cities, tourists are at risk for being pickpocketed or scammed. Please note: don’t carry too many brand labeled items, and always be aware of your surroundings and walk with intention. Overall, the cost of living in Spain ranges from €800-€1,500 per month. It varies widely based on whether you live in a big city or small town, and what type of living situation you choose. In metropolitan cities like Barcelona and Madrid, you’ll need at least €1,000 to break even. In smaller towns, it’s possible to survive on less. Your monthly costs will also depend on how frequently you plan to travel around Spain and Europe. Most teachers can’t resist traveling during their time in Spain (and why should they? ), so any disposable income goes toward that. Since the average income to teach English in Spain is €700-€1,400, it’s difficult to save money. If you live somewhat frugally and limit your traveling, then it’s certainly easier. But if you want the lifestyle that most English teachers lead (eating out regularly, traveling at least once a month, and living in a comfortable apartment), then you’ll most likely only be able to break even. The world famous Sagrada Familia church in Barcelona, Spain. Spain also offers a deep historic culture that is sure to enchant you. Spain was built over 40,000 years. There are many tourist destinations that you can visit in your free time (at very comfortable prices). You could see the unfinished church Sagrada Familia, party up on the beaches in Ibiza, or check out some local art. Get to know the people, who are extremely generous and take pleasure in sharing their culture. They can point you in the direction away from the crowd, the more hidden anomalies, the sacred or deserted spaces. Be sure to take advantage of your time in Spain and learn the 4th most spoken language in the world, with 527 million speakers globally. In Spain, like the whole of Europe, the Joie de vivre lifestyle allows you to be more spontaneous. Have some extra spending money? Get on a train to France or a 2-hour plane ride to Greece for the long weekend. Everything is accessible and close together. Unlike in North America, exploring is not a laborious task of planning and permissions. Get into the open and wandering lifestyle. The pace of Spanish life is the most shocking cultural change, coming from the steam engine that is North America. Understanding their pace and style of carrying out tasks generally covers a lot of ground on what it means to be a Spanish citizen. It is no surprise the Western hemisphere conducts themselves in a manner that is less serious, but perhaps more strict. This is embedded in all their systems. While the larger, urbanized cities such as Barcelona (1.6 million) and Madrid (3.2 million) are as fast-paced as any metropolis, they have several rhythms weaved into their daily life which you will learn to get the hang of. For example, in a professional office environment, their sense of urgency or method of prioritizing varies from task to task, client to client. This doesn’t mean that the workplace is not professional. Often it can seem the general administrative systems are less efficient, as they rely a bit more on manual paperwork than internal software. However, while some information is processed much slower, it is actually much faster when you don’t have to jump through computer hoops. It is a give and take; so don’t be frustrated when you have to wait in line for a while for something. The Spanish take a lot of pride in the work they produce and the quality of goods and services they offer. There is also a lot more freedom at work to respond as an individual with good judgment, then as an individual who can recite the policy. That being said, when the executives decide they need something done immediately, this must be produced. Getting the work done is critical, but how you get there is not as aggressive, as in North America where bosses are hovering over your shoulder. While teaching English in Spain you will notice that the quality of production is seldom compromised for efficiency or cost-cutting, which is something to admire. The Spanish place a great importance on participating in holidays and festivals, whether they are within the family or national. Your family and friends are very important in Spanish culture, and work comes second. For example, Spain notoriously partakes in Siesta, as do other Mediterranean countries, and many Southern European places. Siesta is a short break taken midday after the midday meal, which is often during the hottest hour of the day in order to escape the heat and to spend time with your family. Lunch is between 2 pm and 5 pm, and it’s the biggest meal of the day. It’s important to recharge, and Spain recognizes that the quality of work improves when the workers are well rested and well fed. This is one of the reasons I have really enjoyed teaching English in Spain and the Spanish lifestyle. In the evening restaurants will fill up on any given day for post-work beers and tapas with your friends. Around 9 pm you return home for a homemade dinner with your family. Eating out is generally done with friends, and processed quick take-out foods are less common. Even in the frantic hustle of the morning, co-workers will stop by a nearing café to sit down for coffee and tostada, which is toasted bread with tomato and or ‘Jamon’ (Spanish cured ham). Unlike the North American dichotomy, of work hard now, and then playing even harder later that creates a polarizing effect, where employees get tired, burnt out, feel undervalued and turn over rate speeds up, the Spanish take their time and flow through their day at an even pace. This may feel unusual at first because your culture may be more about takeaway coffee and meals on the go, but eating and socializing for the Spanish is peppered throughout the day, and therefore achieves a more balanced lifestyle. As a foreigner coming from North America, who more or less invented the manual for “cookie cutter” customer service (a prototype for every over-the-counter conversation), some interactions may take a bit of an adjustment. The Spanish are gracious and generous, but also direct. This directness is actually a way of being much more organic and charming. Be open, it is not to be taken as an insult (as some people read it). They are just efficient, genuine, and not heavy with unnecessary “cookie cutter” politeness. If you’re not greeted directly when you enter a shop, it is not because they are ignoring you. It is only because they want you to take your time, and not feel pressure to purchase something. They will not hover around your table in restaurants, as they want you to take your time and enjoy your meal and experience in their establishment. They also don’t work on a tip basis. While this sometimes means the service can be slower than you may be used to, it just means they are encouraging you to take your time. It’s not about chugging beer quickly and moving from place to place but about having conversations and building memories with friends. Once you get accustomed to their style of conversing, you’ll enjoy how personal it feels to not just be seen as a customer, but a friend in the neighborhood. I know all the advice and tips may seem a like lot, but don’t worry! Getting your papers sorted is the hardest part of teaching English in Spain – once you’re there, everything will fall into place. Embrace the lifestyle, ask questions and interact as much as you can! Get a TEFL certification and use your skills to help the Spanish level up. They have a lot to teach you as well. It’s not always Siesta time!